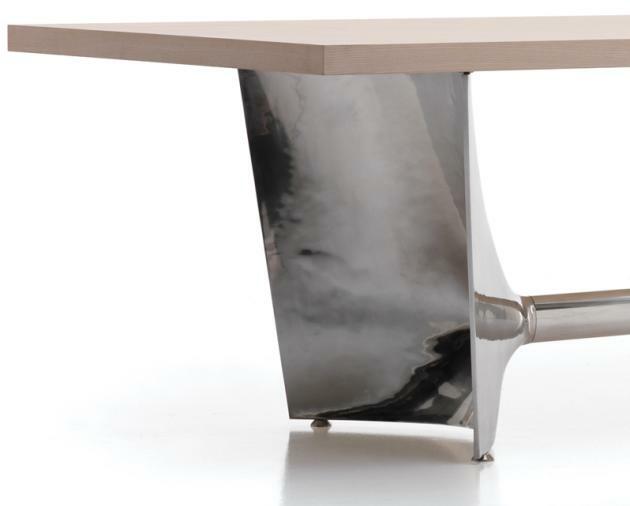 American designer Jeff Miller has created the Fratino table for Italian manufacturer Cerruti Baleri. 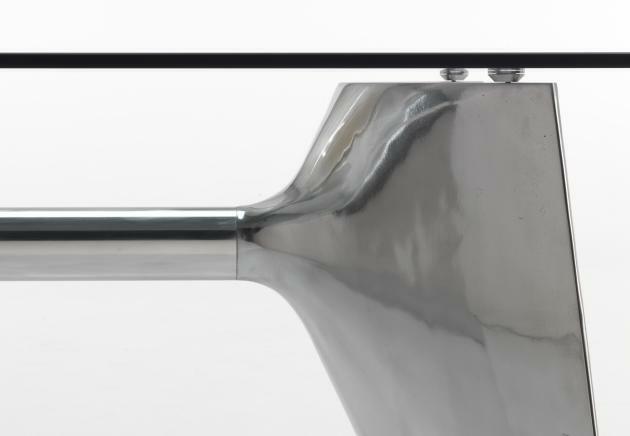 Fratino is a table with an aluminium base composed of two shell-cast pediments spanned by an extruded elliptical beam. The large rectangular tops are available in tempered glass or wood in natural or moka ash finishes. The base structure can be turned upside-down and used with the central beam in a high position by simply switching the feet and top-supports. Visit the Cerruti Baleri website – here. Visit Jeff Miller’s website – here.